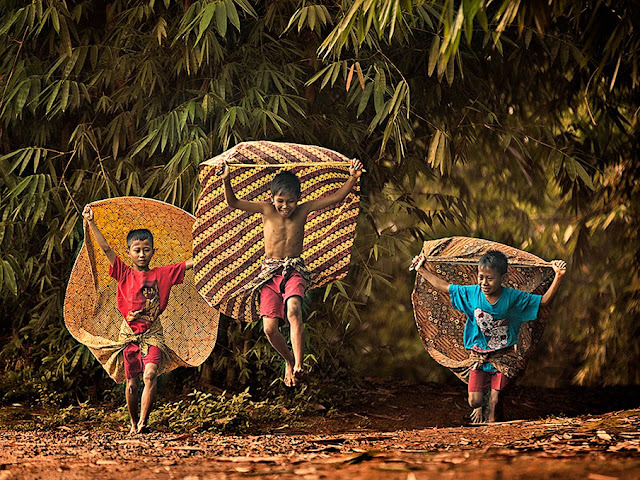 October 11, 2013 /Photography News/ The PictureCompete "Childhood 2013" finalists have been selected. The following images were chosen for their representation of the subject. First Place: Tri Handoko - "I Believe I Can Fly"
Taber Szuluk - "Pretty in Pink"
Each winning image represents a piece of the enigma of childhood. The selected images illustrate the different and varied aspects of this stage of life. From pretend games and thoughts of grandeur to moments of reflective thought and sadness to perseverance in a world much larger than themselves and, finally, a natural beauty and innocence displayed under any conditions. Congratulations to the finalists and much appreciation to all participants!